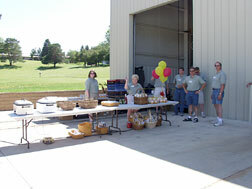 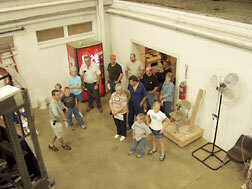 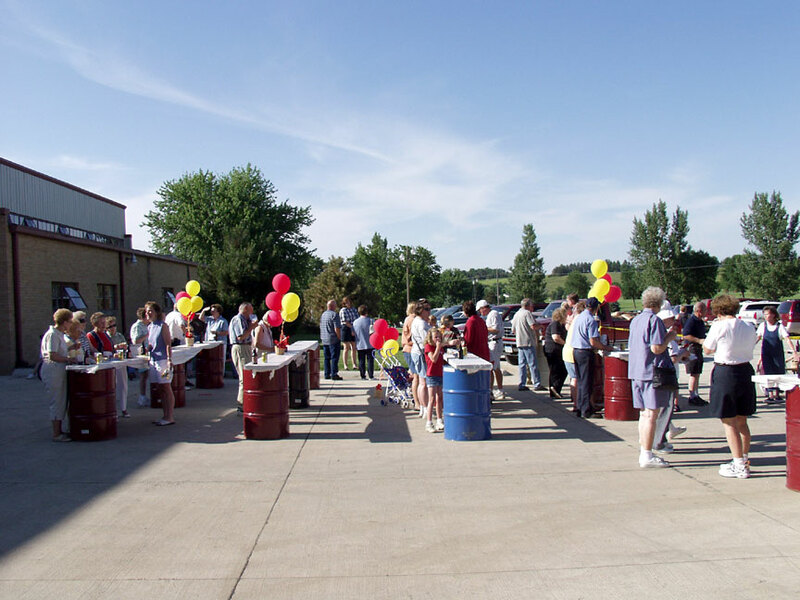 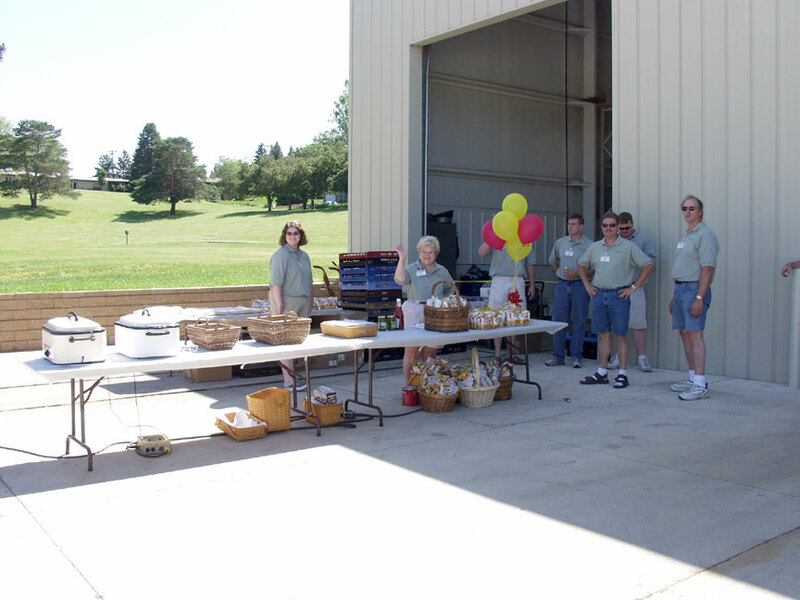 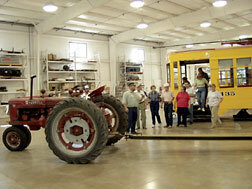 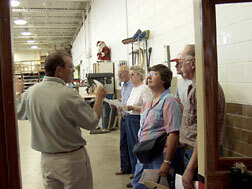 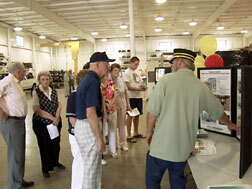 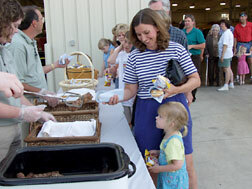 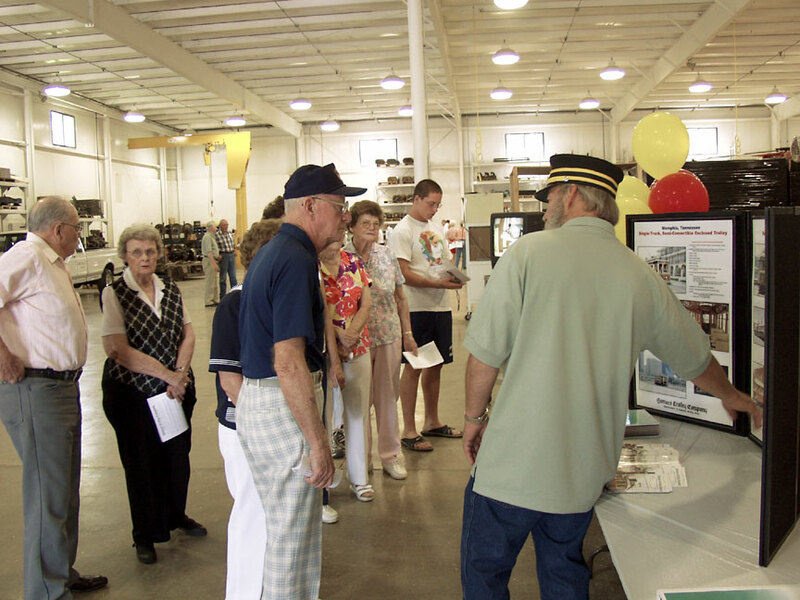 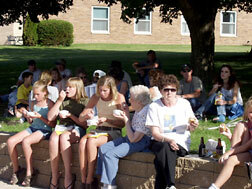 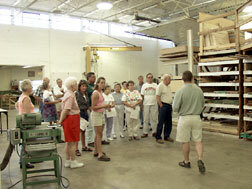 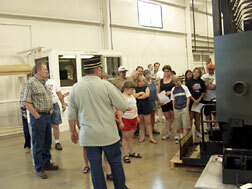 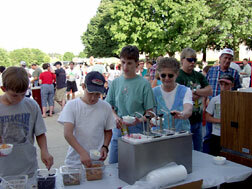 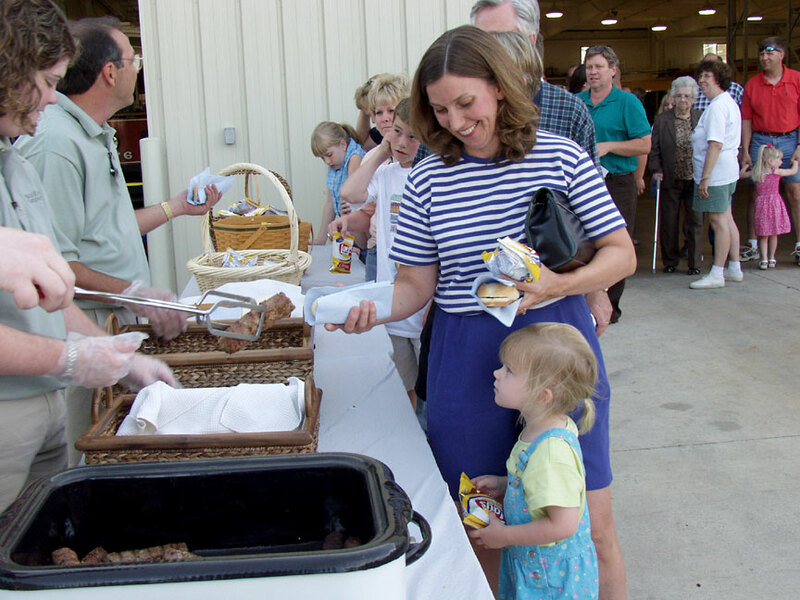 Gomaco Trolley Company hosted an Open House on Friday, June 22, 2001, in Ida Grove, Iowa, USA. 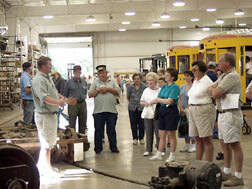 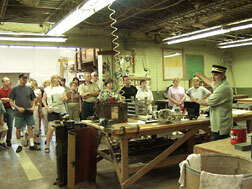 We had more than 850 guests enjoy our tours and hospitality. 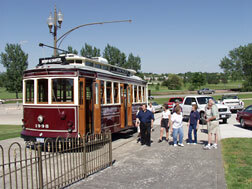 Perfect weather greeted trolley guests at the Open House. 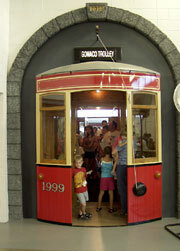 Gomaco's rubber-tired trolley #1998 was set up outside the facility for attendees to walk through. 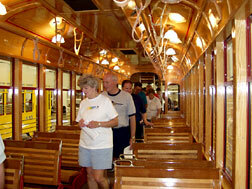 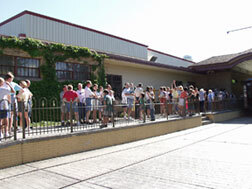 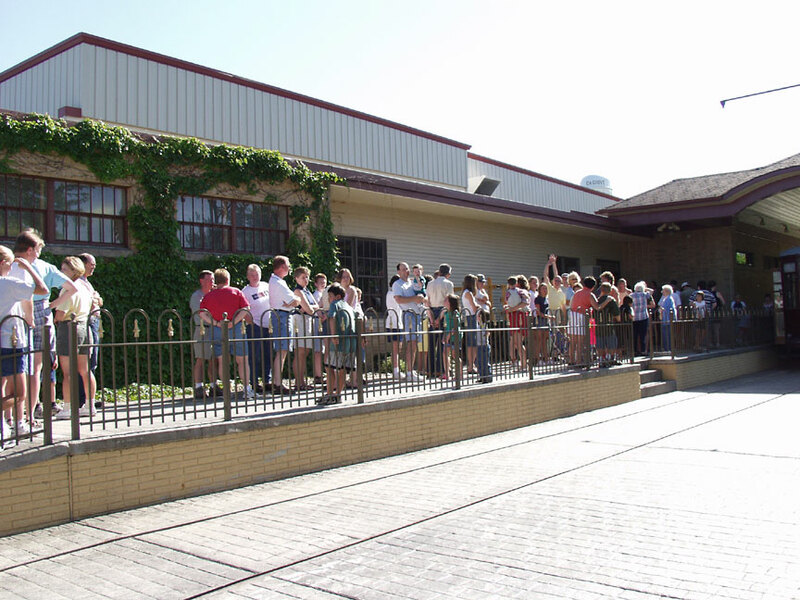 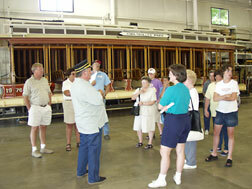 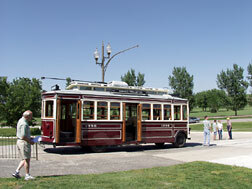 Guests waited outside the front door, which has been constructed into a trolley station, for the tours to commence. 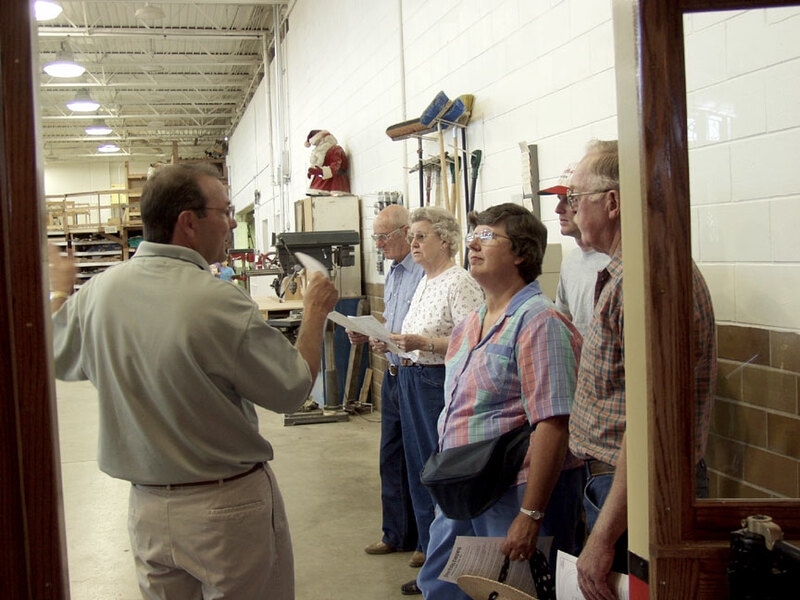 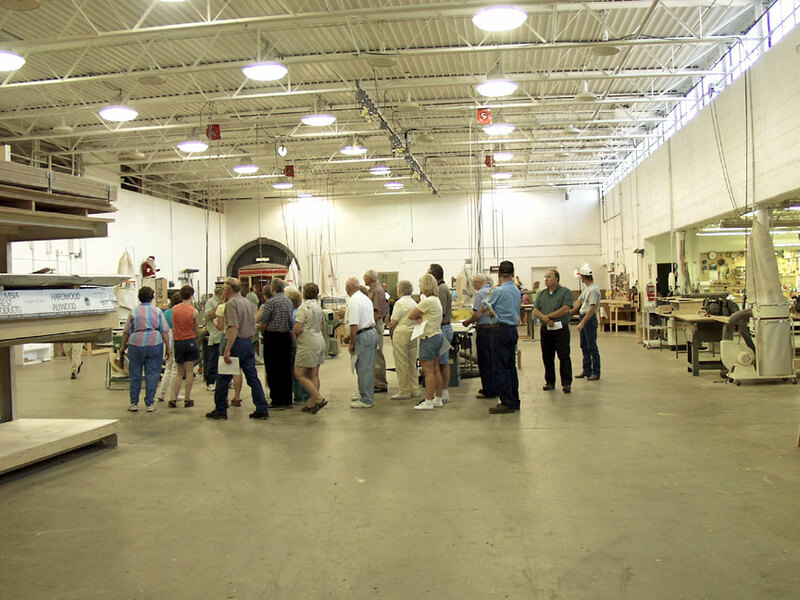 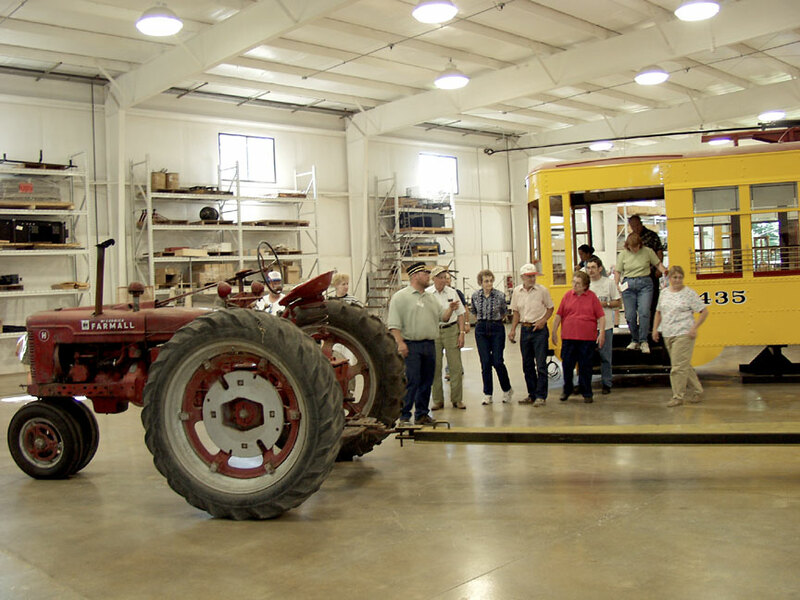 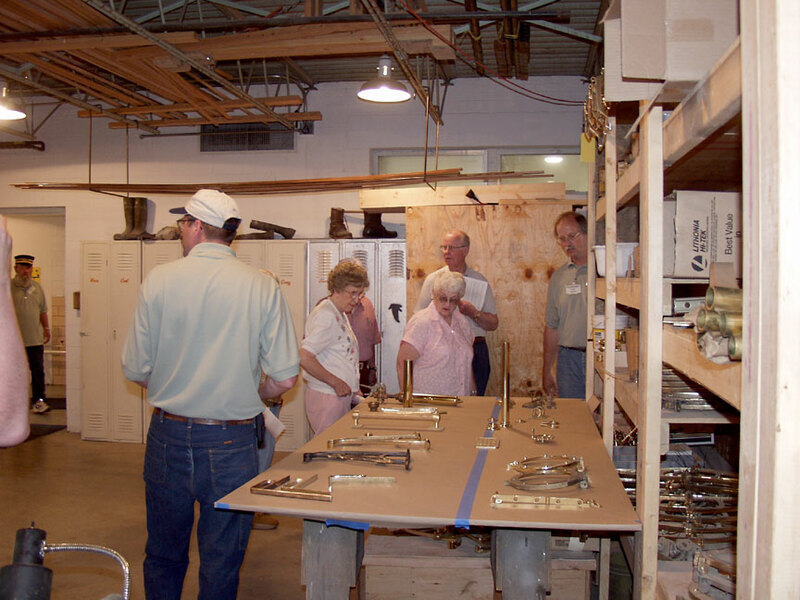 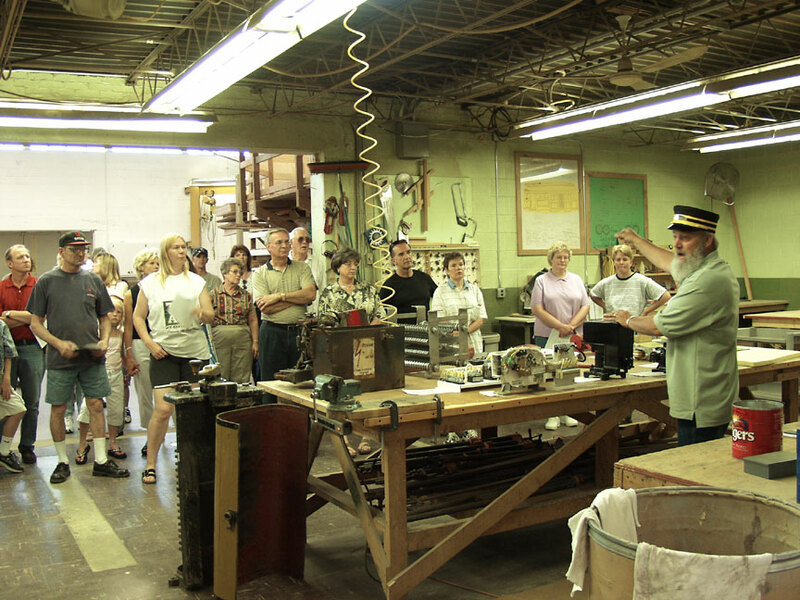 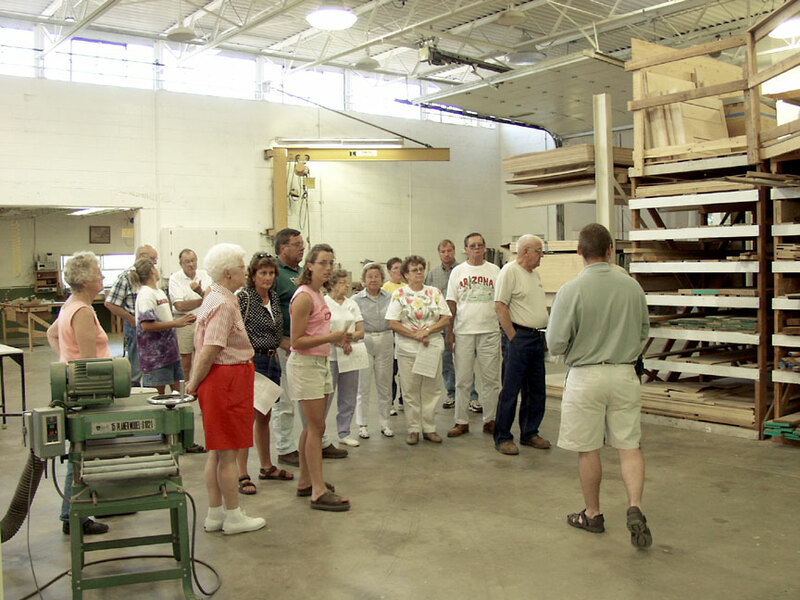 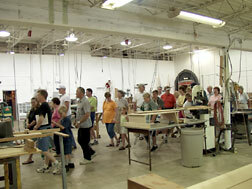 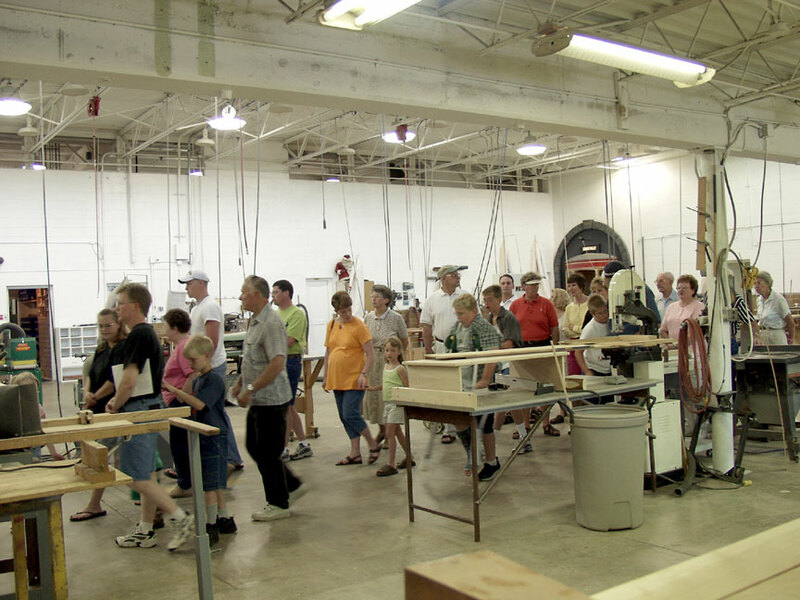 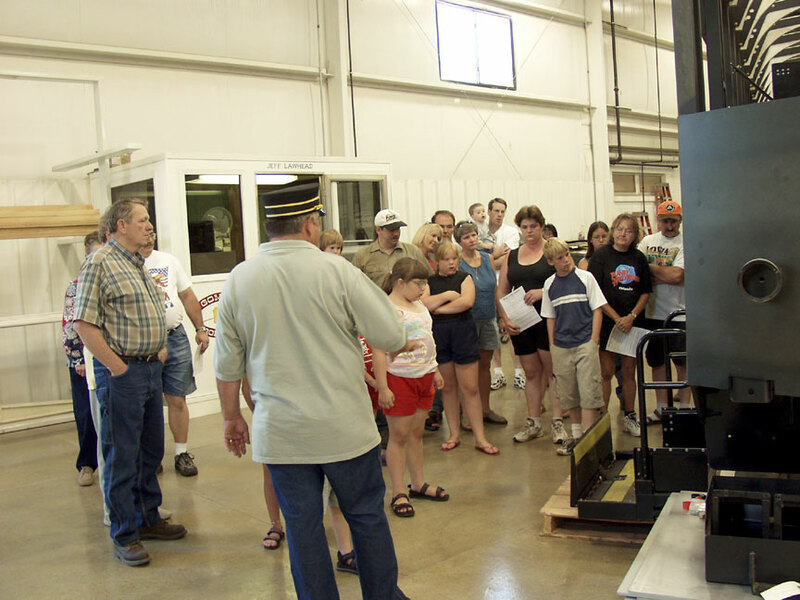 After walking through the trolley entrance (left), which has been built to resemble a replica Birney trolley, attendees entered the carpentry area (center), which constituted the first part of the tour. 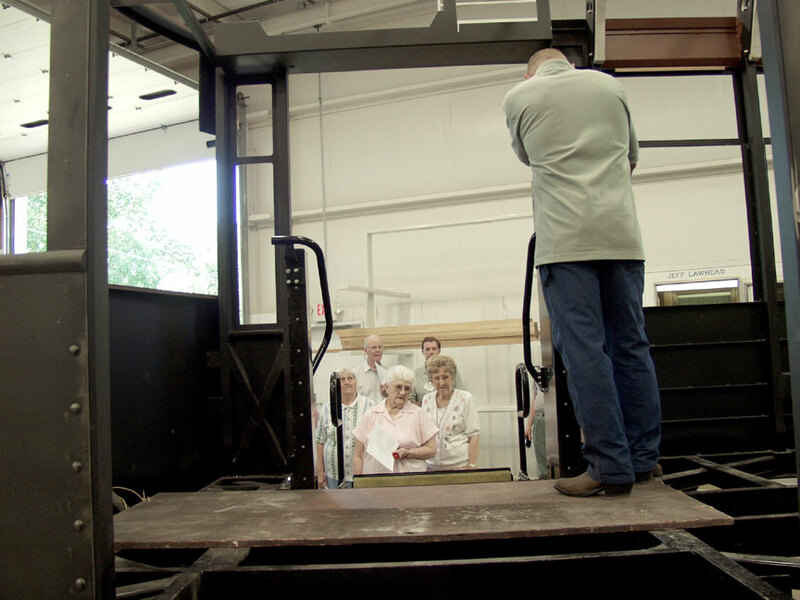 The wheelchair lift on the replica Birney trolleys being constructed for Little Rock, Arkansas, was demonstrated (left and center). In the right photo, you can see the foundry, where the brass parts are molded and cast for the Gomaco trolleys. 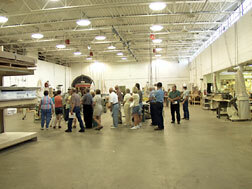 Trolleys in various stages of production were seen throughout the assembly area. 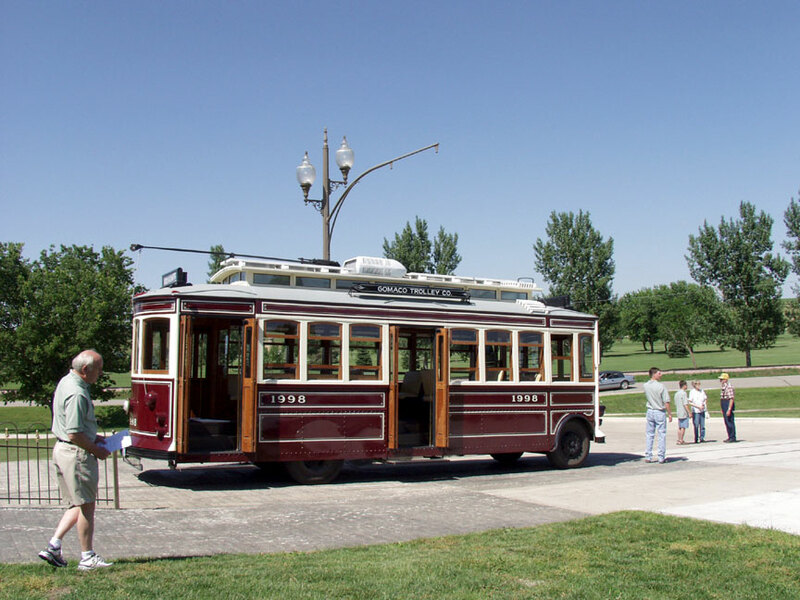 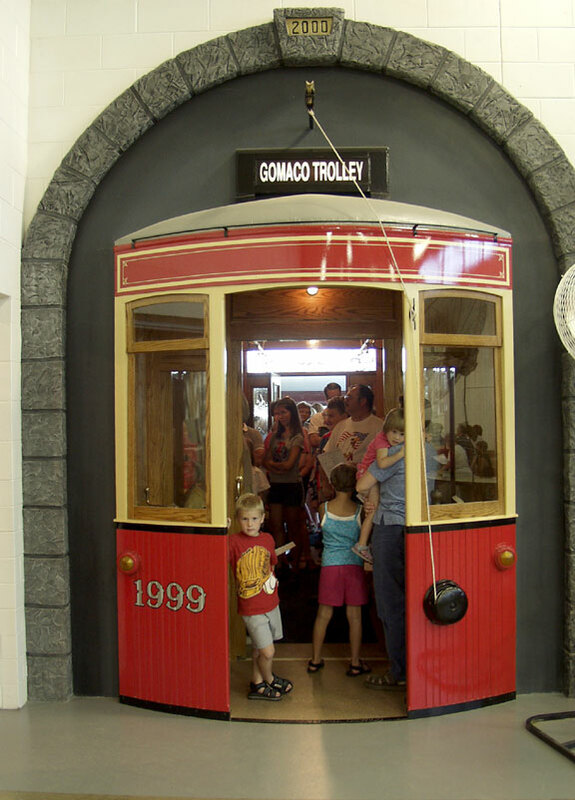 One of the first Gomaco trolleys constructed, the #1976 (left and center), was on display for attendees to walk through. The #1976 was a 15-bench, open-style trolley constructed in 1986. 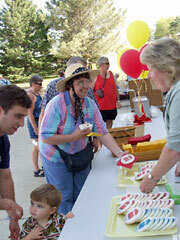 Following the conclusion of the tour, we had treats for our guests. 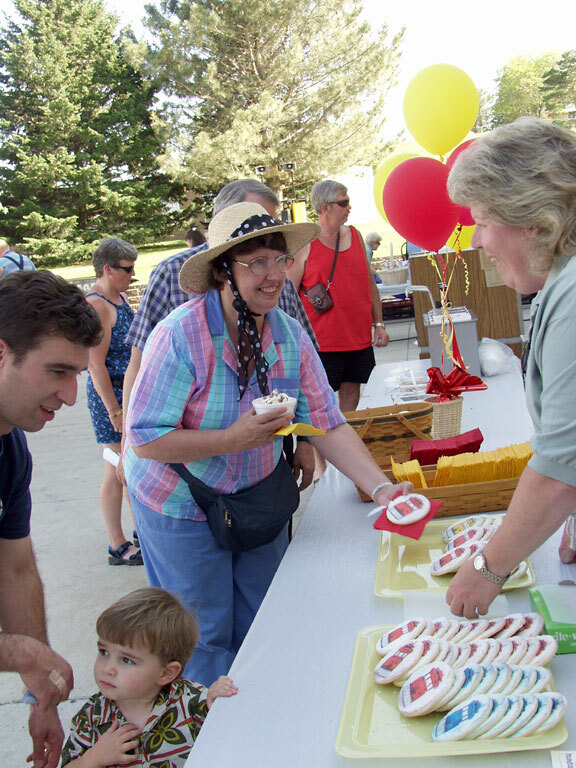 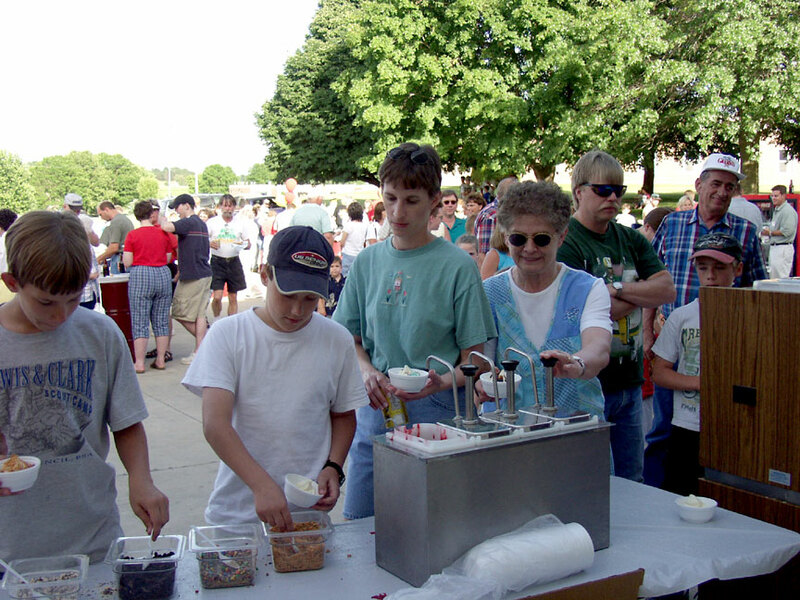 Brats and hot dogs were served, along with Country Time Lemonade, Sioux City Sarsaparilla, cookies with trolleys painted on them and ice cream sundaes.